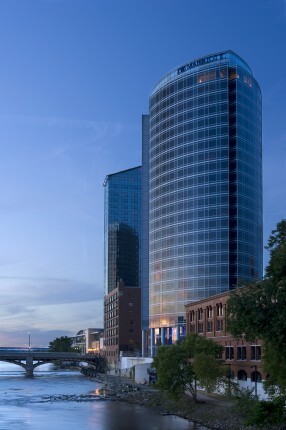 While at a previous firm, members of the Bauer Latoza Studio hospitality group designed this Grand Rapids hot spot, the first JW Marriott Hotel in the Midwest. Situated along the Grand River, this full-service hotel was designed for both business and fun. The curvilinear orientation of the plan allows scenic views of the river from most rooms. A gracious setting near Mumbai’s International Airport asserts itself as a prime destination for business travelers, Bollywood celebrities, and lavish Indian weddings. While at a previous firm, members of the Bauer Latoza Studio hospitality group served as design architects for this 760-guestroom hotel. 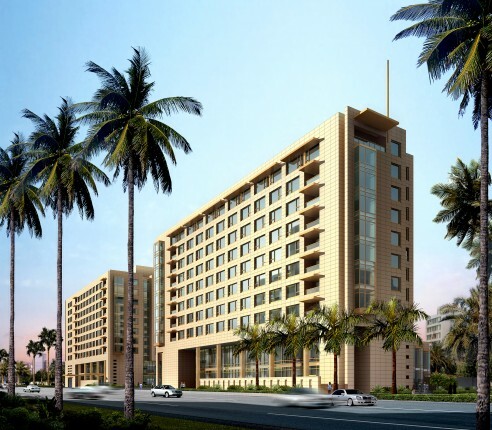 The design also included 95 serviced apartments, a grand ballroom, business center, fitness center, swimming pool and spa, and various dining options. 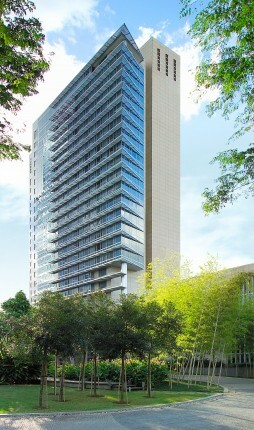 This Grand Hyatt is a distinctive skyscraper in the heart of São Paulo, providing unobstructed views of both the city and the Tietê River. Designed by Bauer Latoza Studio’s hospitality group during their time at a previous firm, this hotel includes 470 guest rooms, two ballrooms, and guest amenities including a fitness center, swimming pool, spa, and restaurants. 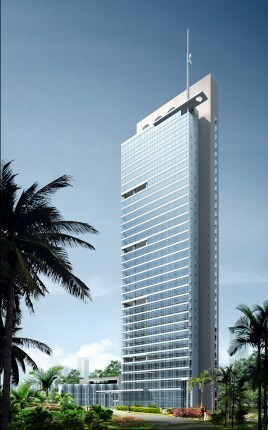 While at a previous firm, members of the Bauer Latoza Studio hospitality group designed the Four Seasons Mumbai. While the compact site in the old textile mill district of Mumbai created a design challenge, the resulting hotel is an urban oasis and elegant beacon of hospitality that attracts business travelers from throughout the city. As an integral part of an IT Park in Pune, this five-star hotel provides a number of shared amenities. Designed by members of Bauer Latoza Studio’s hospitality group while with a previous firm, the hotel includes 325 guest rooms, restaurants, conference facilities, and a spa/fitness center. 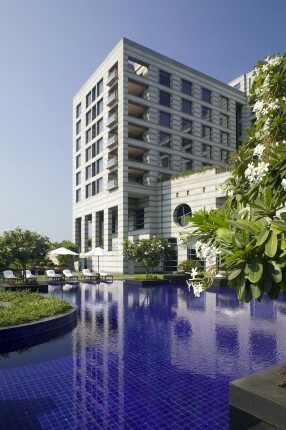 While with a previous firm, members of Bauer Latoza Studio’s hospitality group designed the Hyatt Regency in Pune. Designed to serve the growing extended-stay market in this bustling IT hub, the hotel features 82 serviced apartments and an open plan for its amenities. The interior accommodations are integrated with exterior spaces, allowing guests to enjoy Pune’s temperate climate. 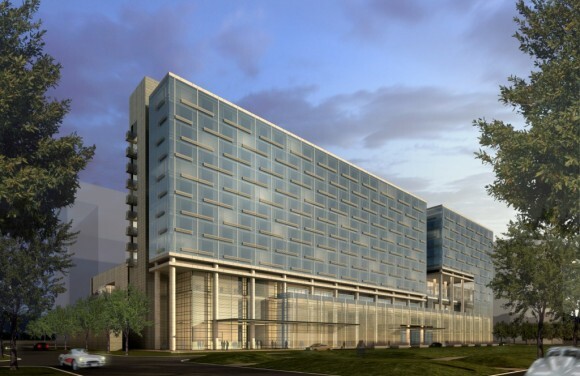 Designed for a site closely located to the El Dorado International Airport, this hotel will provide a world-class experience for business travelers. While with a previous firm, Bauer Latoza Studio’s hospitality group designed the hotel to both take advantage of the open surroundings, and create a fluid relationship between interior and exterior spaces. 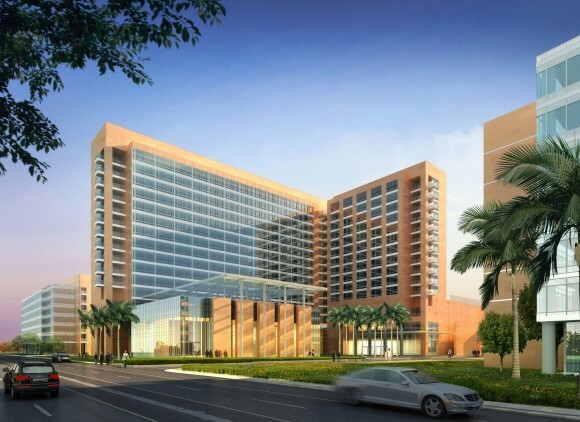 The planned hotel includes 360 guest rooms, meeting facilities, a business center, and restaurants.